A cross-border business dispute, a series of campaign promises and the purchase of a fleet of second-hand strike aircraft made for one the most confusing multi-national arms deals of recent memory, as Canada seeks to replace its original fleet of about 130 Boeing CF-18 strike fighters from the 1980s. The original intent of Ottawa was to replace the older CF-18s with about 70 or so Lockheed Martin CF-35A Joint Strike Fighters, with the first entering service in 2019. However, current Prime Minister Justin Trudeau promised during his 2015 election campaign to scrap plans to buy the JSF on account of cost and reliability concerns. 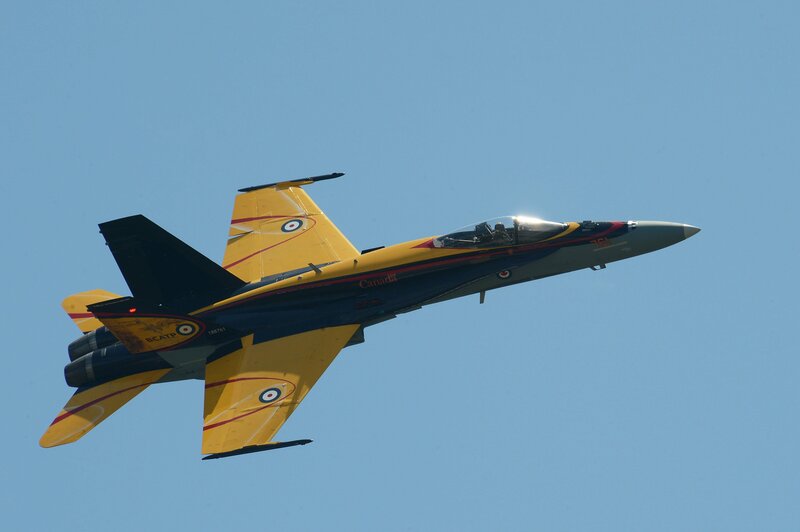 Instead, the Trudeau government and the U.S. State Department worked out a foreign military sales deal that would have the Royal Canadian Air Force field 18 Boeing F/A-18E/F Super Hornets as part of a $5.23-billion proposed arms package as a stop gap measure, until Canada reassessed its needs in mid-September. Ottawa axed that deal after Boeing complained to the U.S. Commerce Department its commercial business was at a disadvantage due to Canada subsidizing its commercial aerospace competitor Bombardier. Still facing a short-term gap until this new competition can be held, the Canadians are now offering Australia $388 million for 18 second-hand Australian F-18 Hornets – a move that will have to be approved by a Trump White House that has backed Boeing in the trade dispute with Bombardier. 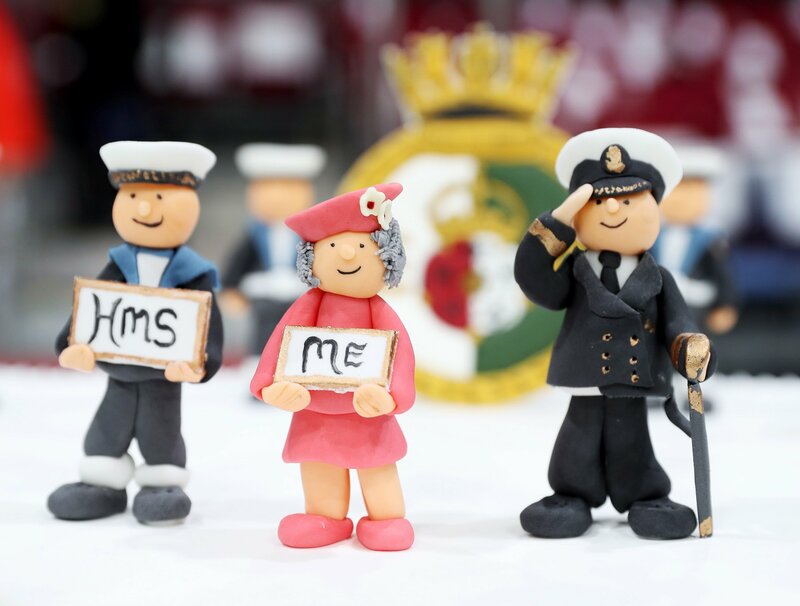 The Royal Navy commissioned its largest warship in history in 2017 and rejoined the club of navies with aircraft carriers, after its last carrier decommissioned in 2014. 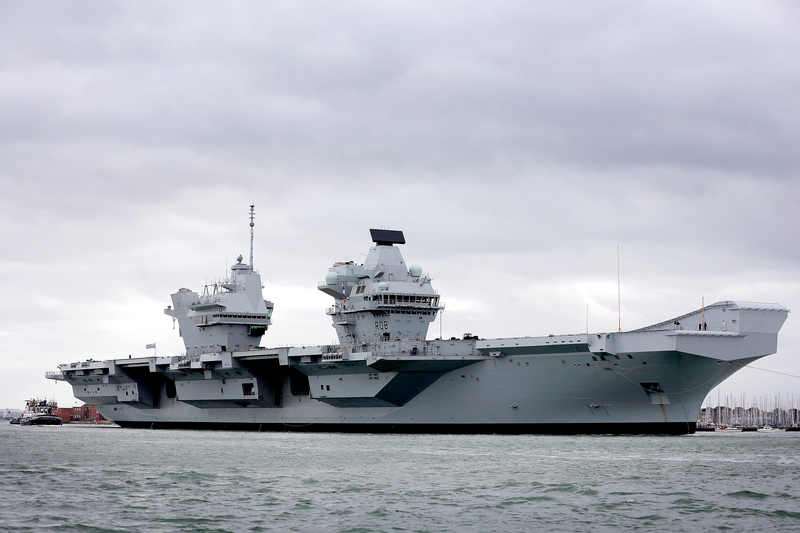 The $4.1-billion HMS Queen Elizabeth (R08) commissioned on Dec. 7 and is the first of two 65,000-ton conventionally powered carriers planned for the RN. The second, Prince of Wales (R09), is set to commission in 2020. The first-ever carrier two-island design is built around two Rolls Royce MT-30 gas turbine prime movers and is set to field the U.K. fleet of Lockheed Martin F-35B Lighting II Joint Strike Fighters. While the ship is in service, the F-35s are not. When Elizabeth leaves on its first operational deployment, it will be with U.S. Marine Corps F-35Bs as part of its air wing. A string of North Korean missile and nuclear tests struck panic in world leaders and sparked a nasty rhetorical conflict between North Korean leader Kim Jong Un and President Donald Trump. 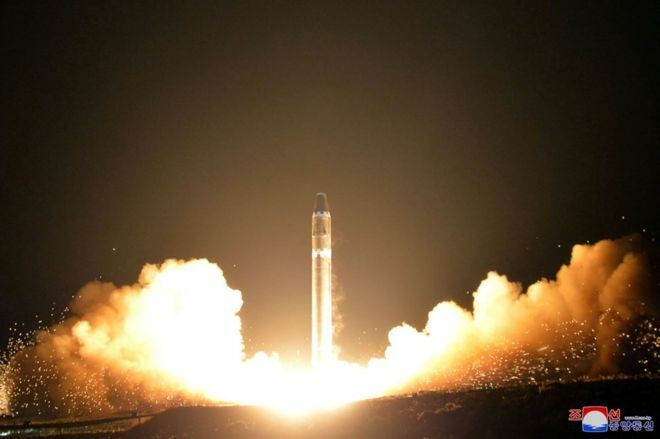 The speed to which the North Koreans were able to develop the missile and nuclear technology under strict international sanctions surprised many in the West. Still, experts were quick to check the boasting from official state media. While Pyongyang claimed the weapon could easily reach the mainland U.S., researchers and analysts weren’t so sure. In early December, reports emerged that North Korea is accelerating work toward a submarine-launched ballistic missile system. In July, the People’s Liberation Army Navy launched the first in a new class of guided-missile cruisers that borrows heavily from the Western school of surface technology. The roughly 12,000-ton cruiser includes 128 vertical launch cells and large solid-state Active Electronically Scanned Array air search radars. The look of the Renhai cruiser is more reminiscent of a Western mode of large surface ship design. Unlike Soviet or Chinese designs of the past, the Type-55 is built around a vertical launch system that is largely agnostic to the type of missile that can be loaded, as long as the missile can integrate with the combat system — a feature that would allow different types of anti-air, anti-ship or strike loadouts, as opposed to more specialized launching systems. While the size of the ship is among the largest in Asia, the efficacy and effectiveness of the weapon systems and sensors remain unclear. “Beijing apparently plans to make the Type 055 its primary surface warship for the 21st century. 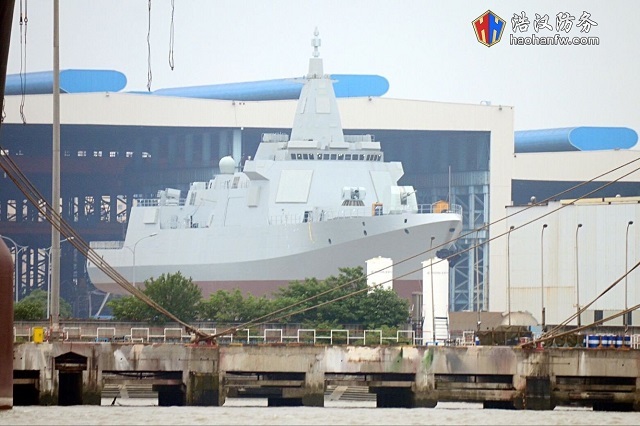 Including the eight initial Type 055 DDGs already planned, the PLAN could order up to 30 of the massive ships by mid-century,” according to Popular Science’s Eastern Arsenal blog. In mid-December, after more than two years of speculation, the government of Japanese Prime Minister Shinzo Abe confirmed it wants to buy two Aegis Ashore ballistic missile defense batteries, the cost of which could approach $900 million apiece. The system, based on the Lockheed Martin Aegis Combat System used by the U.S. and Japan’s fleet of guided-missile destroyers, Aegis Ashore pairs a Lockheed AN/SPY-1D(v) air search radar with Raytheon Standard Missile 3 ballistic missile defense interceptors to target and destroy ballistic missile threats. 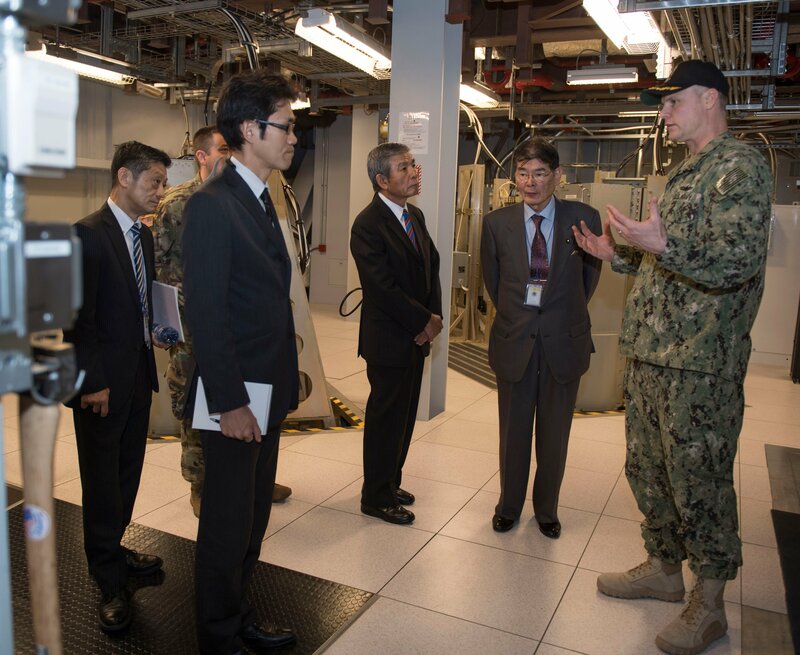 In addition to Aegis on its ships, the Japanese defense industry has also co-developed the SM-3 Block IIA BMD interceptor with U.S. manufacture Raytheon for use on U.S. and Japanese ships. The People’s Liberation Army Navy launched its first domestically built aircraft carrier in April. 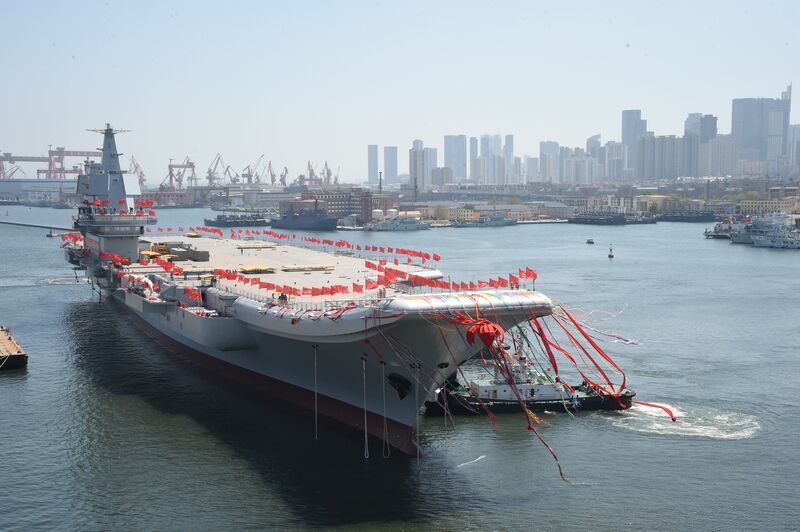 The still-unnamed Type-001A is based on the modified design of the Soviet-era carrier Liaoning, which the Chinese have used as a test platform to learn the ins and outs of carrier aviation since the ship was commissioned in 2012. The new carrier is set to be followed by a more advanced design, the Type-002, that will reportedly field a catapult launching and arrested landing system that will allow the carrier to field a wider variety of aircraft than the ski-jump design of the Type-001A. Previous reports indicated the Chinese would be interested in fielding up to four of their own carriers. 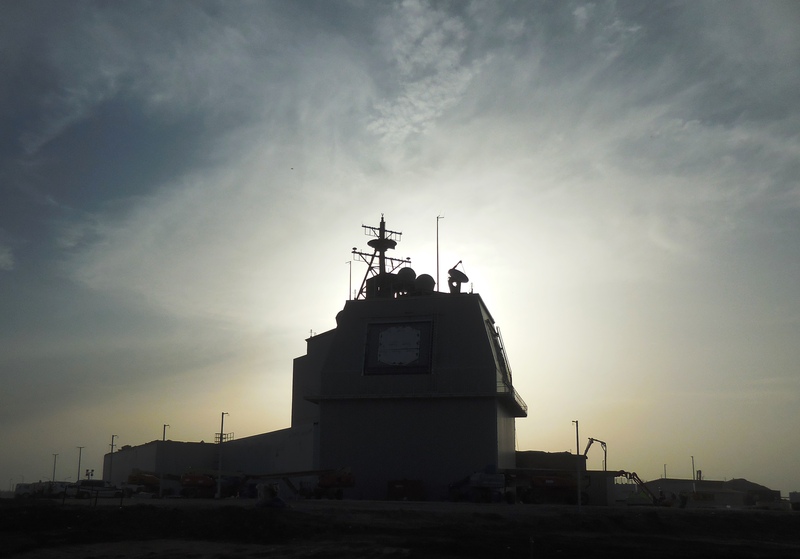 In November, Lockheed Martin was awarded the first development contract for four new frigates for the Royal Saudi Navy. 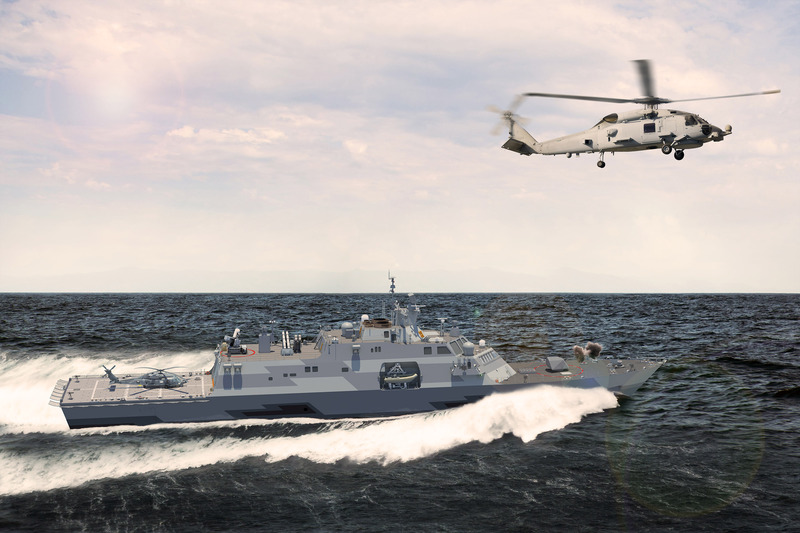 The ships, based on the Freedom-class Littoral Combat Ship design, will be the backbone of the Saudi Eastern fleet and replace decades-old U.S.-built hulls. The Saudi government agreed to terms that would build and outfit the quartet of ships for $6.5 billion as part of the estimated $20-billion second Saudi Naval Expansion Program (SNEP II). “The new Saudi ships will be built around an eight-cell Mk-41 vertical launch system and a 4D air search radar. The deal also includes 532 Raytheon RIM-162 Evolved SeaSparrow Missiles (ESSM) which can be loaded four to a Mk 41 cell. With 16 cells per hull, the Saudi Freedoms will be able to potentially field 64 anti-air missiles per-ship,” reported USNI News.